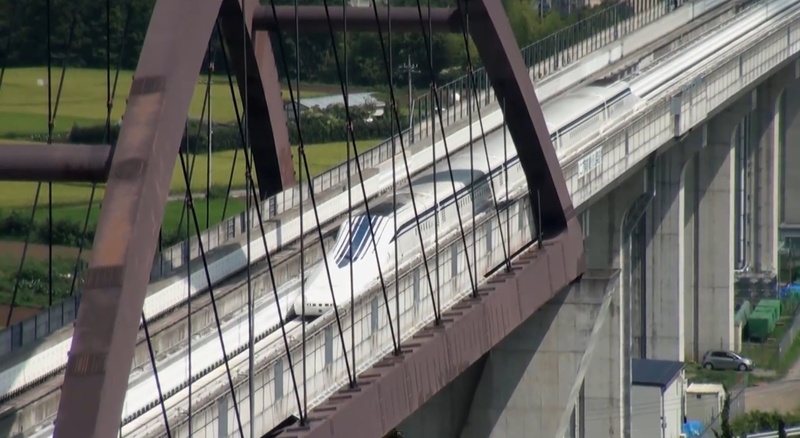 The most ambitious maglev project to date has started testing in Japan. 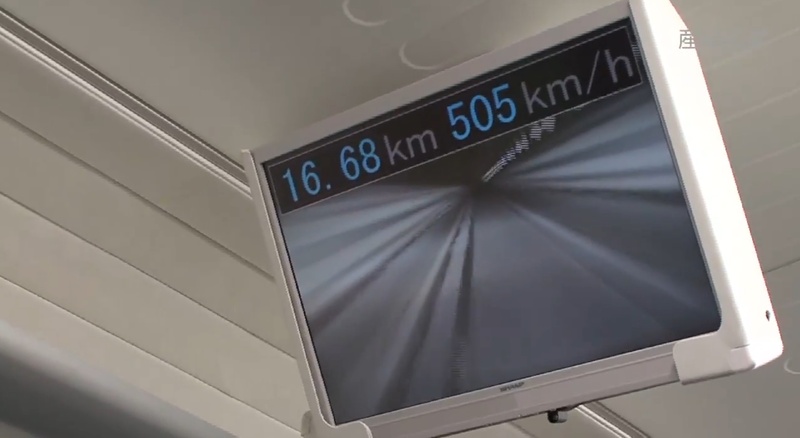 The five-car train quickly accelerates to a top speed of over 500kph. The train – known as the L0 Series – travels so fast that it creates a shock wave and slipstream of wind so powerful it to drown out all sound as it rockets by. 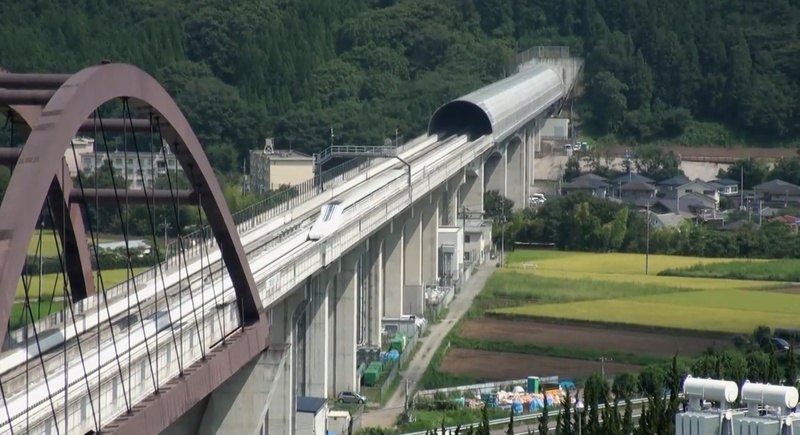 Maglev is short for “magnetic levitation” – it’s not science fiction: the train really does levitate four inches off the track creating a frictionless run allowing for very high speeds. The effect is achieved by having superconducting magnets on the underside of the carriage and opposite poled magnets on the track that repel the train forward. The levitation of the train has a number of advantages. Doing away with wheels is one: wheels constantly need to be repaired and replaced because of the wear and tear they suffer while carrying a train along a track. 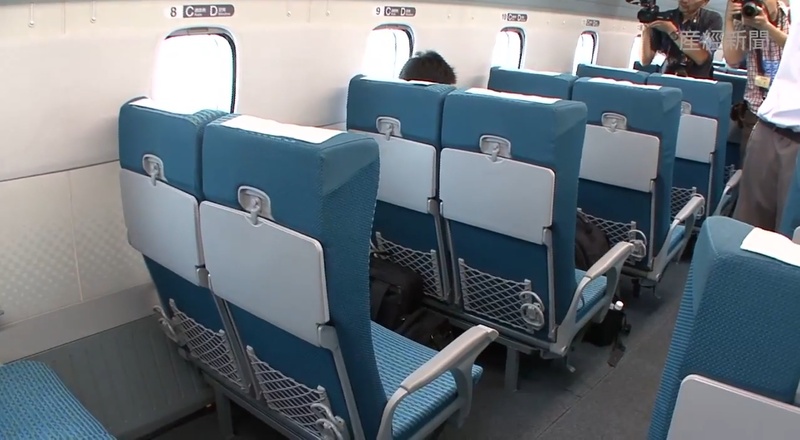 The lack of friction also allows for an inestimably smooth traveling experience for the passengers. The trains can also operate in any weather condition. 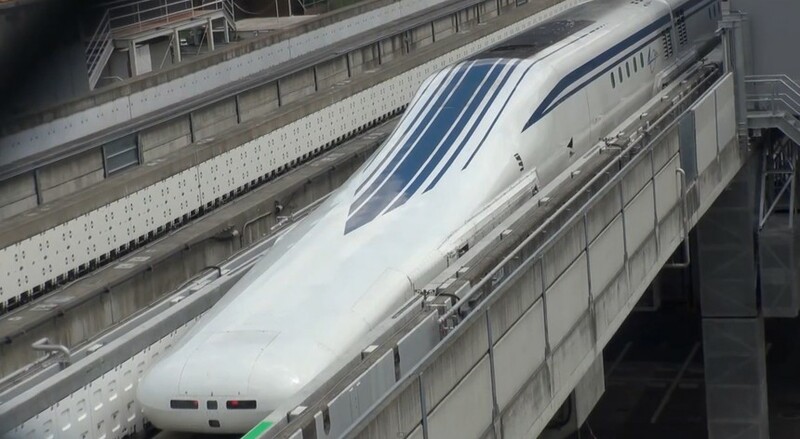 While all these advantages result in savings for train operators the massive cost of setting up a maglev track leaves open the question of whether these trains can ever be commercially viable. 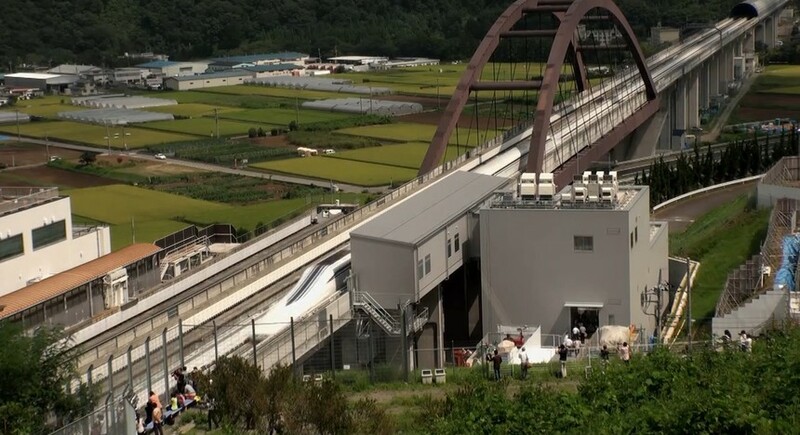 Indeed, The Chuo Shinkansen Tokyo-Osaka maglev track in Japan is being built now at an estimated cost of $91 billion. 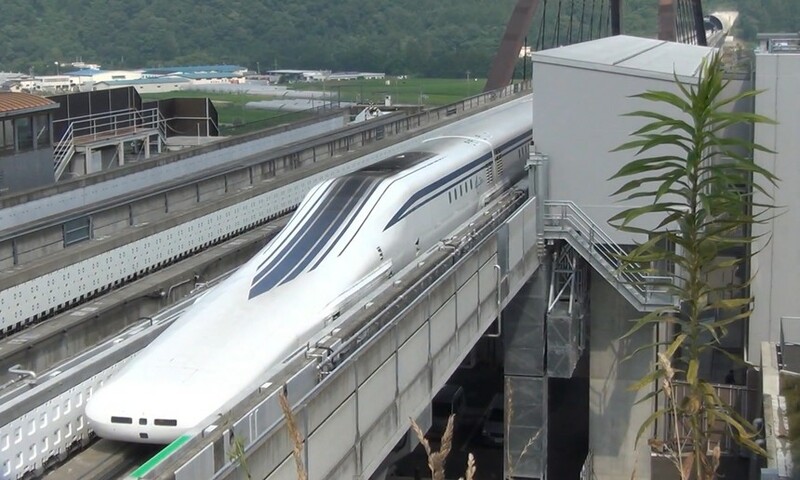 Maglev technology routinely switches between science fact and science fiction. The prohibitively high cost means that we are unlikely to see the technology widely available any time soon. Indeed, it seems incompatible with the capitalist structure of society that demands a technology prove its worth through profit. 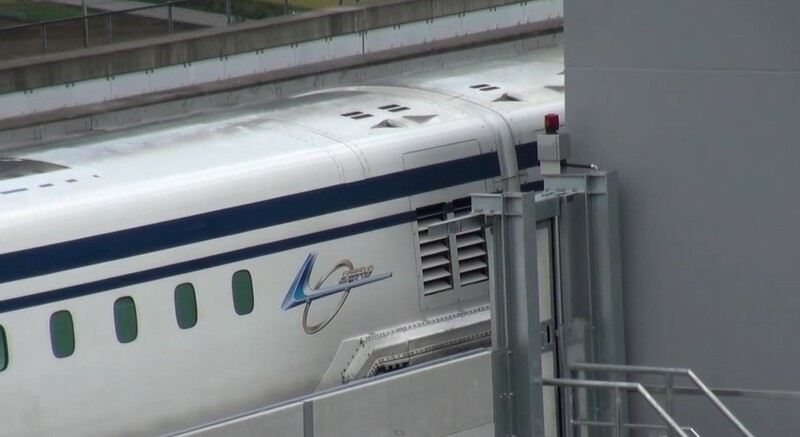 So all you train fans, it looks like you will have to visit Japan to experience maglev.